Good news for Alabama fans! 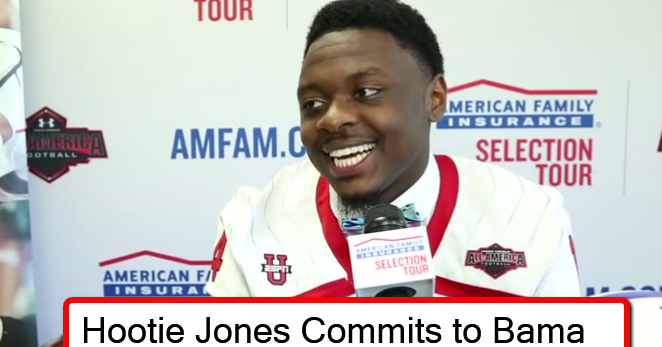 Alabama landed 4-star prospect, Laurence 'Hootie' Jones, out of Louisiana today. The athletic 6-foot-2, 215-pound prospect from Monroe, Louisiana is rated the nation's number two safety in the nation by 247Sports. He chose Alabama over his home state LSU Tigers. His buddies & top prospects, Cameron Sims & Cameron Robinson, also of Louisiana, also were present at the announcement. This latest commitment bolsters an already stellar #1 recruiting class in America by most recruiting services.